The Breitung home, previously at 334 E. Ridge in Marquette, is no longer standing, but its history provides an interesting look into the lives of its owners. 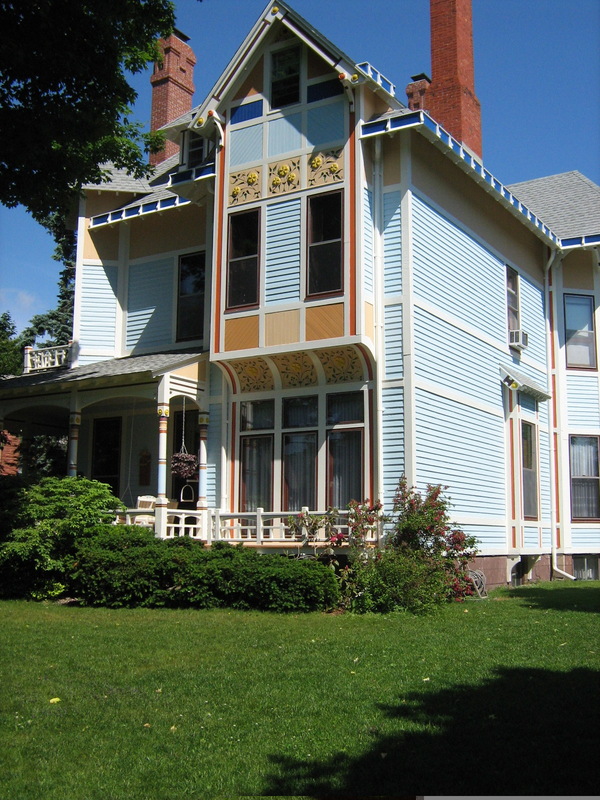 The house was built by Edward Breitung and his wife, Mary. Breitung, the son of a Lutheran minister, was born in 1831 in the Duchy of Saxe-Meiningen in Germany. He attended the College of Mining in Meiningen, and then in 1849, immigrated to the United States and settled in Kalamazoo County, Michigan. He moved to Detroit in 1851 and became a clerk in a mercantile house. 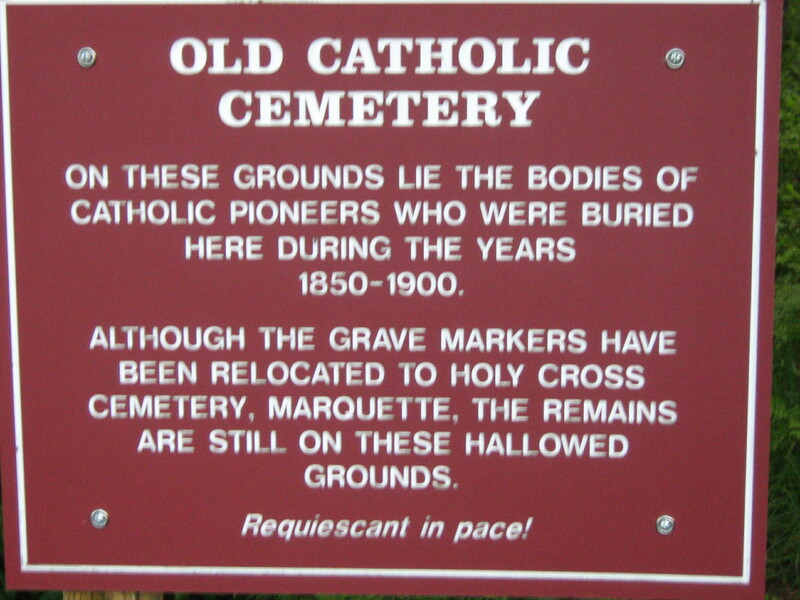 His mining and mercantile background led him to Marquette and later Negaunee where he continued his mercantile business. By 1864, he completely transitioned into iron mining. He located several profitable mines in Marquette and Menominee Counties, and later became involved with gold and silver mining in Colorado. Breitung Township in Minnesota is named after him for his work in developing its Soudan Mine in the 1880s. Breitung Township in Dickinson County, Michigan is also named for him. Edward Breitung became involved in politics and was elected to the Michigan State House of Representatives in 1873 and 1874. He served as a Michigan State Senator in 1877 and 1878. He was Negaunee’s mayor in 1879, 1880, and 1882, and from 1883-1885, he was in the United States House of Representatives for Michigan’s 11th congressional district. Mr. Breitung met his wife, Mary, in a boarding house in Republic, Michigan where he often ate when in town on business and where she worked as a chambermaid. 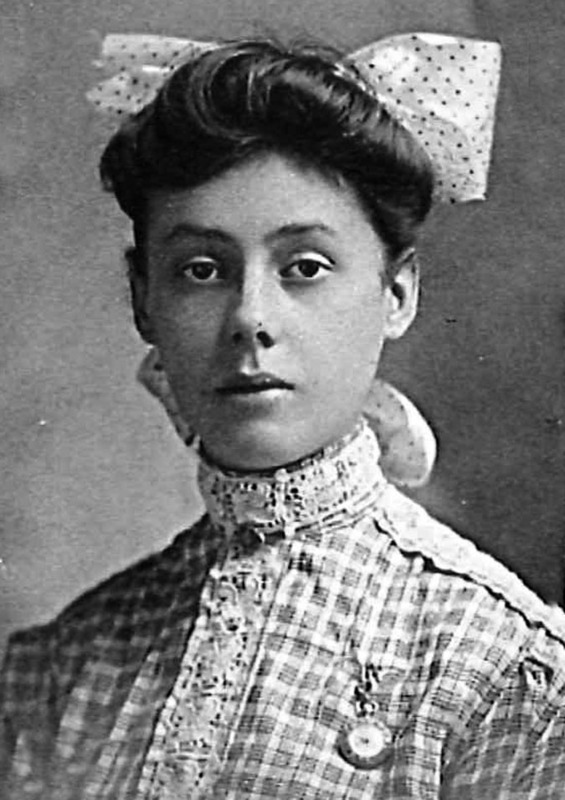 They would have two children, William, who died young, and Edward N. Breitung who was fifteen at the time of his father’s death in 1887. Breitung built this home just before his death. Six years after Mr. Breitung’s death, Mary Breitung married Nathan Kaufman, whom her husband had relied on to handle many business details for him. The marriage created gossip that Mary and Nathan had been seeing each other before Mr. Breitung’s death, but considering they waited six years to marry, that seems unlikely. The gossip was more due to people disliking Nathan Kaufman and being jealous of how the Kaufman family’s social position rose as a result of this marriage. In the 1890s, Nathan Kaufman would serve as mayor, be responsible for building the city hall, be involved in starting the Marquette Street Railway, and would help to establish and become president of the Savings Bank. Meanwhile, Edward N. Breitung reached adulthood and married his stepfather’s younger sister Charlotte Graveraet Kaufman. Nathan Kaufman would continue to oversee operation of the Breitung money and businesses until his death in 1918. When Nathan Kaufman died, his will left everything to the Kaufman rather than Breitung side of the family. When his wife, Mary Breitung Kaufman, went to court to break the will it resulted in a trial where so many unsavory details came out about Nathan that Mary decided to divorce him posthumously. About the same time, Nathan’s younger brother, Louis Kaufman, built the impressive Kaufman Mausoleum in Park Cemetery—a scaled-down replica of the Parthenon in Greece and said to cost about three million dollars. To be buried in the marvelous marble mausoleum was not good enough reason for Mary to stay married to her deceased second husband. 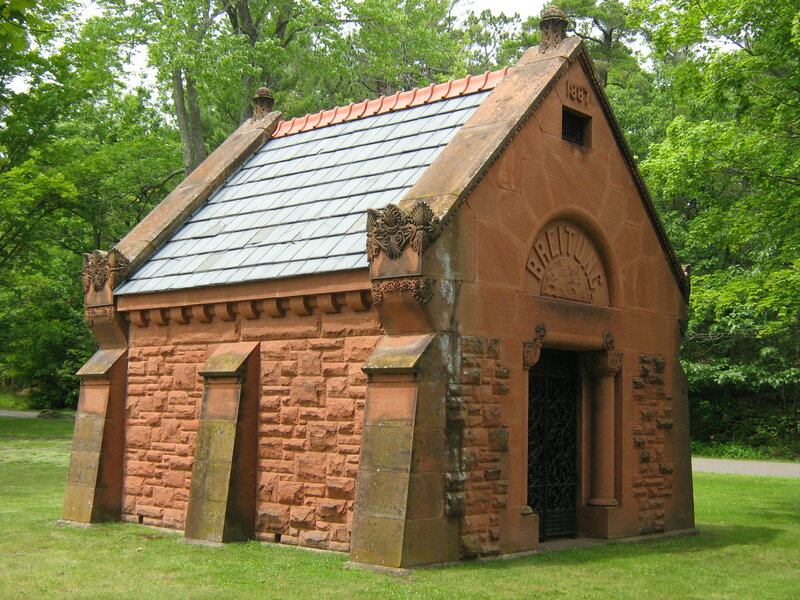 Today she is buried in the smaller Breitung mausoleum built of sandstone. 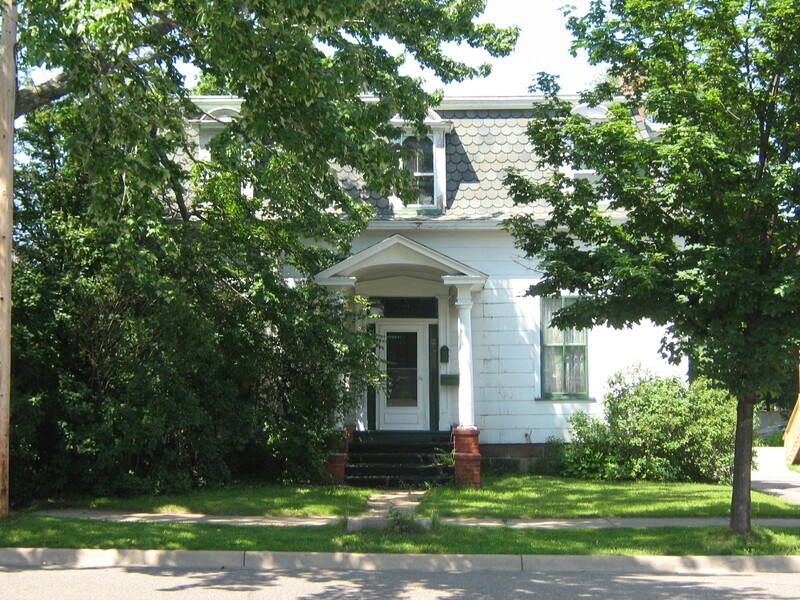 This home (at 301 N. Fourth St. in Marquette) belonged to Hampson Gregory, a local architect and builder whom The Mining Journal said was the man more than any other who was responsible for building Marquette. Gregory was born in Devonshire, England in 1834. 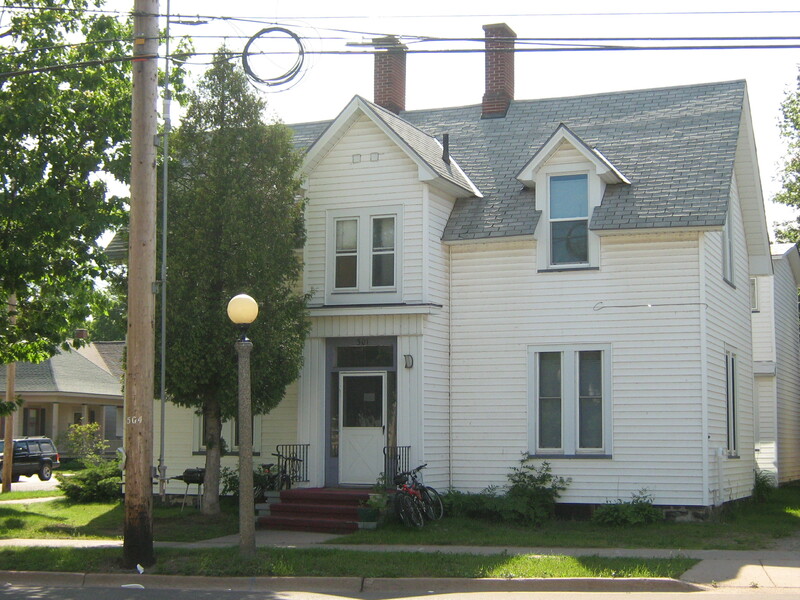 He and his family migrated to Canada and then arrived in Marquette in 1867. He frequently worked with sandstone, and many of his buildings reflect the style of English architecture common in his native Devonshire and neighboring Cornwall, England. One of his finest homes, the Merritt home, introduced Gregory to the Merritt family, and later his daughter, Clara would marry C.H. Merritt. The First Methodist Church has a memorial stained glass window to the Gregory family’s memory. 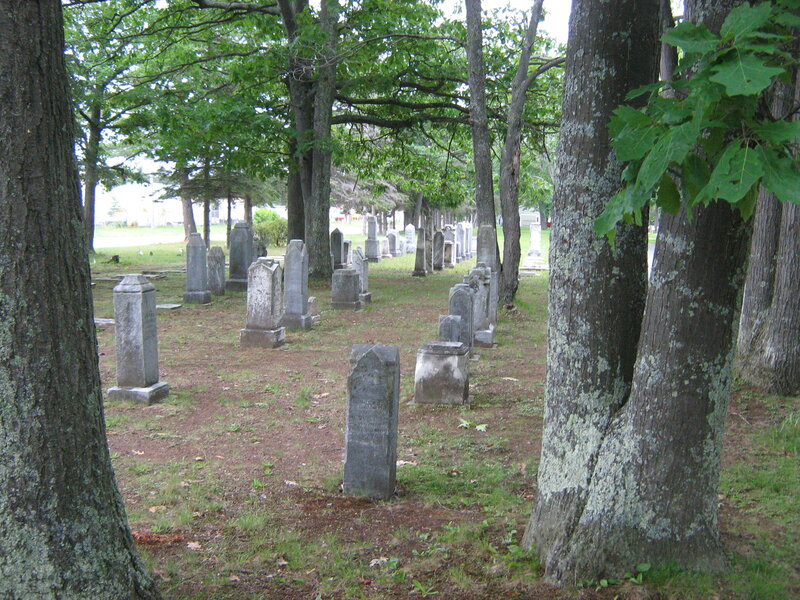 Hampson Gregory died in 1922 and is buried in Park Cemetery. Today, nearly a century after his death, Gregory’s true memorial is the many homes and public buildings he built and which still stand today. The Mining Journal was correct—he remains one of the men most responsible for building Marquette. Find out more about Hampson Gregory’s legacy in Marquette in My Marquette. Happy Halloween everyone! 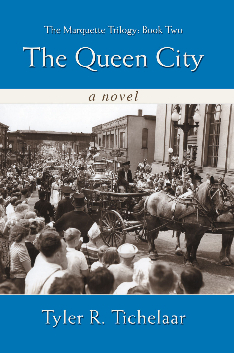 To celebrate the holiday, here is a ghost story from my novel The Queen City that Will Whitman tells to his grandchildren about Marquette’s first ghost. “What year was it?” Jimmy asked. “Almost a hundred years ago!” Jimmy gasped. “Barry’s grandma is your sister, right Grandpa?” said Jimmy. “Yes,” said Will. “We all lived on the farm with my father, a few miles out of town, but my grandparents lived in town. They lived up on top of the hill. Sometimes I would go visit them on the way home from school. My brother Clarence would usually go with me, but that day he had been too sick to go to school so I had to walk home by myself. That was partly why I went to visit my grandparents. They didn’t know Clarence was sick so I wanted to let them know–that, and I wanted to ask them what I should buy my pa for Christmas. “Sounds like someone I know,” laughed Ronald. “We’re all big storytellers in our family, I guess,” said Will, “my father was the same too. So anyway, by the time I left my grandparents’ house, it was getting dark. It was also starting to snow. Now that I think back on it, I’m surprised my grandparents even let me leave because it looked like a storm was brewing, but back in those days, hardly anyone had a telephone so I couldn’t call my father, and I didn’t want him to worry if I didn’t make it home. 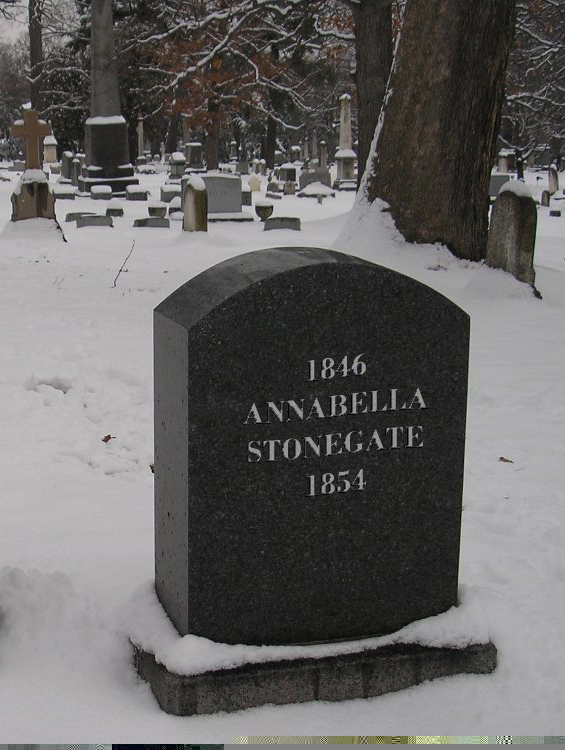 “Oh come on, Pa, within three blocks of walking the snow was up to your knees!” laughed Ada. Jimmy looked alarmed at the thought of walking over the dead. “Then I tripped on a stone sticking up out of the snow. I remember falling forward and my face landing in the snow. That’s all I remember. I think I passed out from exhaustion. When I woke, I found myself huddled up inside the door of a crypt where I was sheltered from the wind. For a second I was confused, but then I looked out into the storm. There was a young girl, about my age, walking away from me. “The snow probably drifted and covered the rest of her footprints,” said Louis. The grownups smiled good-naturedly, but the children’s eyes widened as he finished his tale. “Just listen and you’ll find out,” said Will. “So what did your father tell you?” asked Jessie. “How did she die?” asked Jimmy, hoping for a gruesome death to make up for a girl ghost. “How far did she have to walk?” asked Lucy. “About a mile I said,” Will replied. “How far is a mile?” Jimmy wanted to know. “About halfway from here to downtown,” said Will. “Not if she followed the road,” said Lucy. “Will you let me tell the story?” asked their grandfather, thinking he never would have started to tell one if he had known it would mean so many interruptions. “Well, Pa, they just want to understand better,” said Eleanor. Lucy smiled; she loved playing tea party with her dolls. “What was the Christmas present?” asked Maud. “Sound like typical boys,” laughed Ada. “To cut off your hair,” said Will, giving a mild description that relieved Eleanor, who did not want her girls to have nightmares. “What’s so bad about getting a haircut?” asked Maud. “Maybe she had really beautiful hair, so she didn’t want it cut off,” said Judy. “Did the Indian get her?” asked Jimmy. Beth could not help shedding a tear, as she remembered how her own father had died from being caught in a blizzard. “Is that the end?” asked Jimmy. “So she’s not really so much a ghost as an angel,” said Jessie. Most of the grownups smiled, appreciating the story’s moral ending, but Henry only laughed. “You must not have looked hard enough,” said Will. “If he’s smart, he won’t,” Henry smiled. “You’re too much, Pa,” said Henry. “Can we open our presents now?” asked Maud.